Toys ‘R’ Us, the kids-friendly retailer with a lovable giraffe named Geoffrey for a mascot, closed all of its stores in June after filing bankruptcy in 2017, striking sadness into the hearts of adults who grew up with the brand, as well as laying off more than 30,000 employees with no severance. It was truly fucked up and depressing, but it may not be the final chapter in the Toys ‘R’ Us story. 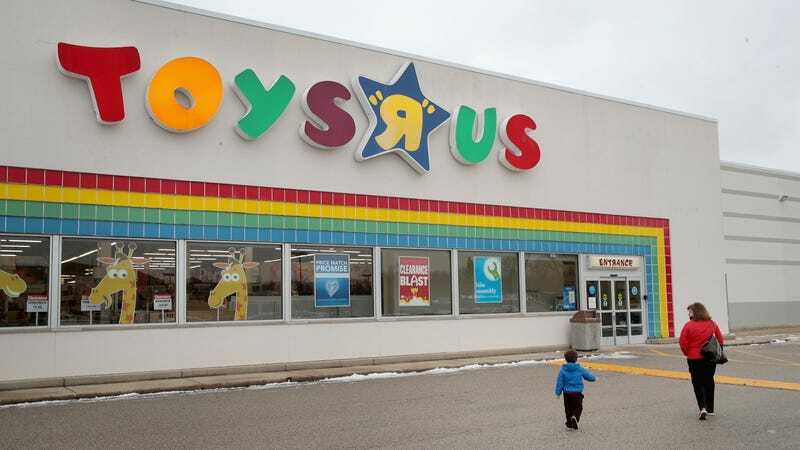 Previously, Toys ‘R’ Us had planned an auction around its name and the Babies ‘R’ Us name, and bids have already come in but, according to the court filing, the auction is off. It’s not immediately clear who was bidding for the brand names, which include the brand’s iconic giraffe, but I like to think whoever it was is probably pissed off right now. In my mind, this is all playing out between a few high-power businessmen at the top, and one day this will all be turned into a movie directed by Adam McKay.